1. The wall. Pick the wall you want to enrich. Look at your furniture, accessories, rugs that are around and select the wall that needs an extra touch. Make sure the piece you are going to bring relates to your current items. No need to replicate the existing color pallet but make sure you have at least one of this colors in the painting. 2. Orientation. Carefully look at your walls and think about what it will look better. Tall walls will look better will a vertical piece, horizontal walls will look best with a landscape oriented artwork. 3. Size. You can enhance a large room either with a large piece or with a group of small pieces, kind of creating a gallery wall. If you are working with a small room, a big piece can create an amazing focal point. The rule of thumb is to have the art fill two-thirds to three-quarters of the wall. 4. Furniture. The size of the art pieces should be at least 1/3 of the lengt of the furniture. You can do it with a single or multiple pieces. 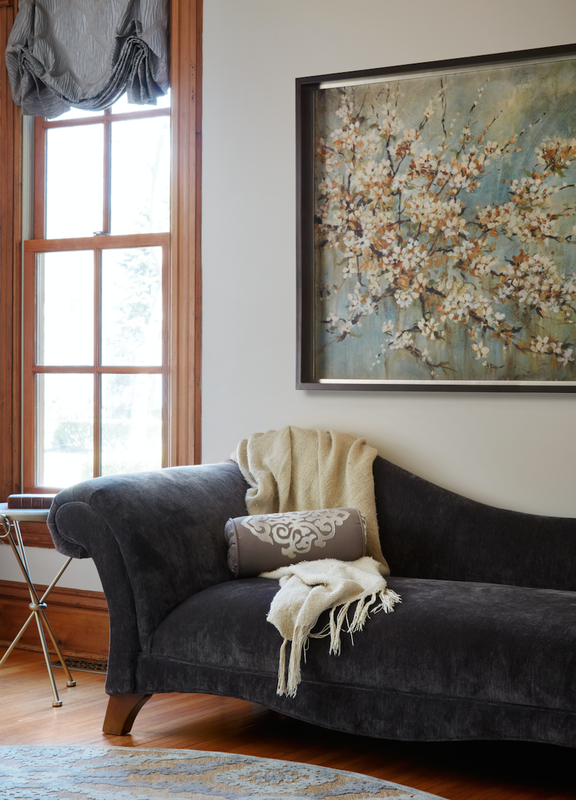 When hanging your art piece, make sure to leave 6 -12 inches above the furniture from the bottom edge of the frame. If you are hanging the piece in an empty wall make sure that is hung eye level. Select something that moves you, that makes you feel something, not simply a piece to fill your wall. Choose something that will have a meaning for you. If you need any help finding the perfect artwork give us a call!